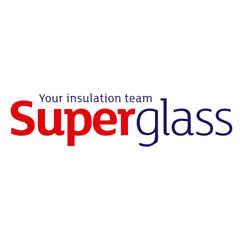 Superglass is based in Stirling, and our product is all manufactured there. We are proud to be based in Britain and Scotland; there are few firms that can boast both head office and manufacturing facilities here. Our local connections and relationships are important. So as we become even more enabled though our partnership with TechnoNICOL and the expansion we announced last year, everything that buyers appreciate will remain: the offer of fast, flexible and quality customer service, with no ‘back and forth’ for sign-off on decisions and a real commitment to getting to know exactly what a customer’s needs are, for today’s projects and beyond. So with Superglass, our customers can enjoy the best of both worlds. They get the logistical and technical capability of an international powerhouse, but the flexibility, pace and commitment to great service that has been part of our DNA for decades.